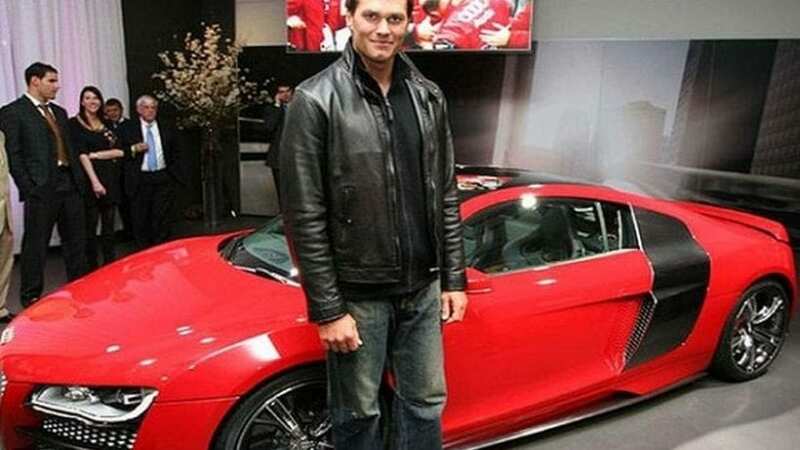 In the last few months, we could see famous NFL quarterback posing with various Aston Martin models. We can’t blame him as the luxury carmaker has in its lineup some of the best looking vehicles in the world. But that is not all, over the last few years we did see him in other cars, so we are delivering some of the best that he had. Looking at the career of this guy we can understand why he is considered by many to be the best ever on his position, but also in the entire sport. He was born on August 3, 1977, and is an active player from 2000 meaning that he just recently turned 40 and that he already has 17 seasons behind him. When you say that someone is so long in the league and plays on the level of Tom Brady, you know that he is an ultimate athlete, or that he is an alien. No matter if he is an alien or not, he is extremely rich thanks to his earnings on the field and revenue from various endorsements. It was estimated that his net worth is about $180 million, and on top of that, his wife, Gisele Bundchen net worth is estimated at incredible $360m. With all that money and potential support from his wife in the financial department, if he ever needs it, he can afford some quite expensive and interesting vehicles for him and his family. As we already mentioned, we saw him posing alongside with few impressive Aston Martin supercars, but that is not all. It was recently announced that Aston Martin and Tom Brady had signed a deal for this guy to put his signature on limited edition DB11 models. Price went up, but it doesn’t matter as only 12 of those will be ever made, so it is a perfect piece for those with deep pockets.